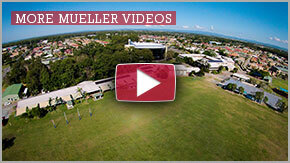 Mueller College is easily accessible by private and public transport. Please read below some of the options available. 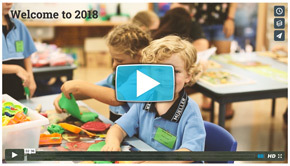 Parents who live at Kallangur, Mango Hill, Petrie, Strathpine, Redcliffe, Sandgate or Bracken Ridge should contact the Hornibrook Bus Lines for details of bus times and fares. Parents who live at Deception Bay, Narangba, Burpengary, Morayfield, and Caboolture may be catered for by the Kangaroo Bus Lines, 2 Motorway Drive Burpengary QLD 4505. Student drivers must provide the Head of Senior School with vehicle registration number and evidence of drivers licence. Any form of dangerous, erratic or attention-seeking driving will not be tolerated and parking privileges will be withdrawn from offenders. Students who drive to school are asked to park their vehicles in Morris Road. Parking is not permitted on school grounds. Vehicles must not be used during the school day; drivers must travel on school buses for activities outside the campus, including sport and excursions. Written authorisation is required for taking other students in vehicles. To transport siblings to or from school, a driver must submit written approval from the parents. In the case of students outside the family, written approvals must be submitted from the parents of both the driver and the student/s. When driving within the college grounds, the 15 kph speed limit must be observed. Students may cycle to school provided they are competent riders, their bicycles are in safe working condition, and they wear appropriate bicycle helmets. Students should dismount when crossing all roads. Students must abide by road rules, and dismount once in the school grounds. Once at school all bicycles must be locked in the bike racks provided. Parents are asked to observe the speed limits (15KPH) posted on the College internal roads. Special care is required where pedestrians and vehicles may use the same area or where children may cross internal roads. Children using on-site car parks which contain median strips must use these strips for walking away from cars (when arriving at school) and for walking to cars (when leaving school). Treat other people and their possessions with respect. Follow the teacher & driver’s directions without argument. Do not cause damage to the bus in any way. Wait well back from the bus (2m+) until it stops. Stand quietly without calling out or shouting. Do not push other people in the line. Always follow instructions from the teacher/ driver about safety on the bus. Sit properly on a seat if one is available (in an allocated seat if directed by the teacher/ driver). Always wear a seat belt if bus fitted with seat belts. Store bags under the seat or in appropriate luggage areas. Speak quietly and not create unnecessary noise. Place feet on the seat. Fight, spit or use offensive language. Throw any article around or from the bus. Consume food or drink (except water). Allow any part of their body to protrude out of the bus windows. Stand forward of the front seat. Get on and get off the bus at the correct designated stop. Wait until the bus stops before standing to get off. Get off the bus in a quiet and orderly fashion. When you get off the bus, take two (2) big steps away from the bus. If an article is dropped under the bus DO NOT retrieve it. Never cross the road in front of or behind the bus; wait until the bus has moved away and it is safe to cross the road. Leave the bus in a quiet and orderly fashion. Wait in the area indicated by the driver.